What's your Howl O Ween costume Bulldog Nation? Thread: What's your Howl O Ween costume Bulldog Nation? Howl O Ween is right around the corner , what is your bulldog dressing up as? 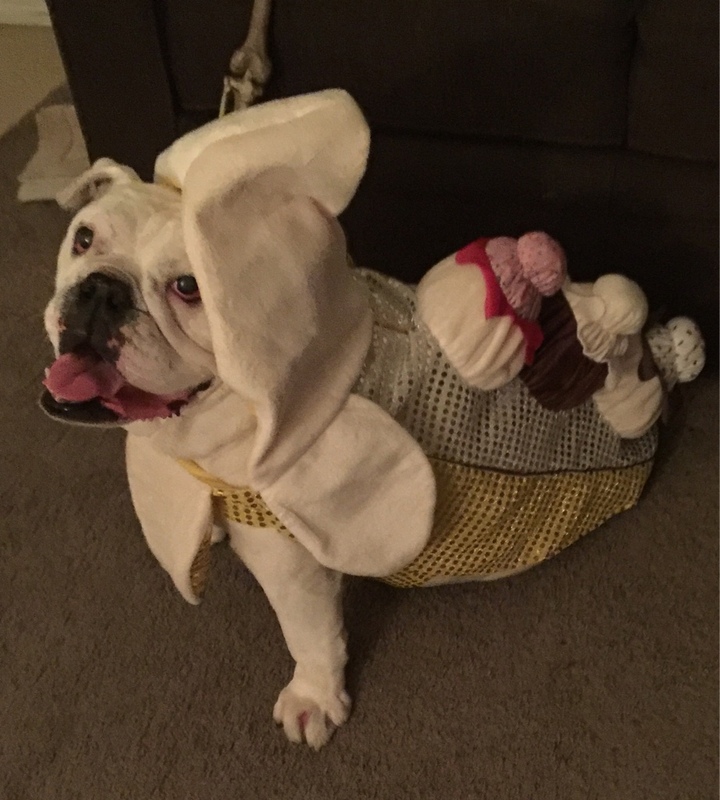 Miss Pork chop is ready for the Howl O Ween event coming up by SCBR. Re: What's your Howl O Ween costume Bulldog Nation? Haha!! Love it!! We have yet to decide...Apollo does not like to wear anything, especially hats. It's so sad for us humans! "Maybe its the heat but I'm feeling a little buzzed"
I want to find a "muscle man" costume for Lockjaw! I can't find one anywhere! Anyone have any suggestions? I have seen children's costumes like superman,batman,hulk, in the Dollar General. They have the muscles,maybe you can work with that for Lockjaw(Oh how I love that name! )Love him and Penny!